Will you join us on Saturday, September 15th on Museum Hill overlooking the foothills that we protect and preserve? We anticipate another sell-out crowd of 300. 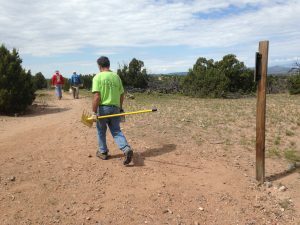 As a sponsor, you can publicly celebrate your love of the land and help SFCT work to keep our community connected to nature and each other via trails and open space, improve the health of the land including wildlife habitat, migration corridors, and quality of water, and protect scenic vistas visible from roads and public places. You will also be helping us cultivate young and new conservationists. Dan Flores is A. B. Hammond Professor Emeritus of the History of the American West at the University of Montana. The author of ten books, he has also written for the New York Times, the Los Angeles Times, and the Chicago Tribune, as well as numerous national magazines. 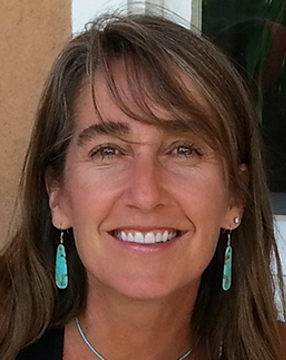 Flores is the author most recently of American Serengeti: The Last Big Animals of the Great Plains, which received the 2017 Stubbendieck Distinguished Book Prize, and Coyote America: A Natural and Supernatural History, a New York Times Bestseller, winner of the 2017 Sigurd Olson Nature Writing Award, and a Finalist for PEN America’s 2017 E. O. Wilson Prize in Literary Science Writing. Flores lives in the Galisteo Valley outside Santa Fe, New Mexico. Stewart Udall was a three-term Congressman from Arizona and later served as Secretary of the Interior under Presidents John F. Kennedy and Lyndon B. Johnson. 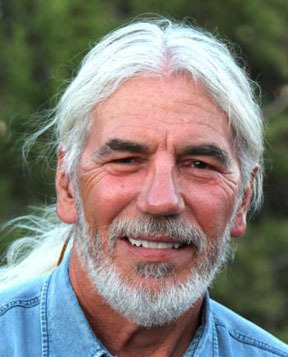 He was a member of the Santa Fe Conservation Trust board of directors at the organization’s inception in 1993, and he served as Chairman of the Board from 1999 to 2000. Stewart was instrumental in the creation of the National Rail Trail movement and inspired SFCT to help create the Santa Fe Rail Trail. During 50 years of public service, he was the quintessential conservationist; conserving habitat, wildlife, energy and land–wherever and whenever he could. When he died in 2010 here in Santa Fe, President Obama said, “…Stewart Udall left an indelible mark on this nation and inspired countless Americans who will continue his fight for clean air, clean water, and to maintain our many natural treasures.” The Stewart Udall Legacy Dinner is given to honor others like him who inspire us to love the land, care for it, preserve its sweep and heal its wounds.